The week's music news may have been overshadowed by the eventual release of Daft Punk's Get Lucky, but they're not the only French pop act with new music on the way. 'Bankrupt! 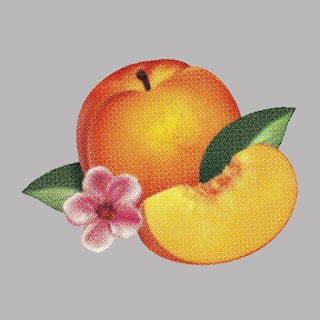 ', the latest album from Parisian quartet Phoenix since their 2009 breakthrough 'Wolfgang Amadeus Phoenix', is not to be overlooked. The band continue with their electro inflected soft-rock sound, now breezier than ever with pop hooks to rival the likes of Passion Pit. 'Bankrupt!' was produced using the same recording console as Michael Jackson's Thriller and, whilst you shouldn't expect any crotch grabbing squeals, clearly some of his commercial appeal has rubbed off on the band. Each track is crammed with melodious synths, buoyant rhythms and upbeat, jangling guitars - from opener (and current single) Entertainment with its asian-inspired, pentatonic hook that crops up numerously in 'Bankrupt! ', to the syncopated beat of S.O.S In Bel Air, the glimmering Trying To Be Cool, and the laidback funk groove of Drakkar Noir. The tracks often shift between tempos and instrumentation, but the playful blend of guitars and electronics is as charming and alluring as the band have ever been. At the album's centre is Bankrupt!. As with Love Like A Sunset on their previous album, it provides a pool of serenity amongst the lively pop melodies. The seven-minute title track begins as an instrumental of mesmeric minimalism before developing into a guitar-based ballad. It not only provides a moment of calm with its soothing flute lines, but reflects the band's willingness to embrace experimentalism. The following tracks soon pick up the pace, though the second half's exuberant rush is interrupted by the soft blooms of Chloroform and Bourgeois. Having released their debut back in 2000, Phoenix finally hit their stride almost a decade later with 'Wolfgang Amadeus Phoenix'. Now the band can stand tall amongst other French greats like Daft Punk and Justice. 'Bankrupt!' sees them reaching a new peak of creativity, with plenty of pop fun along the way. Listen: 'Bankrupt!' is released on 22nd April.